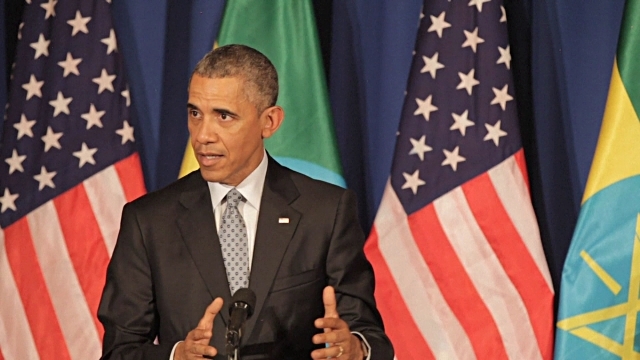 Did President Obama tell the truth about Democracy in Ethiopia? Congressman Joe Wilson called President Obama a liar during his address to Congress. I was infuriated, as well as many Americans, because it was rate to utter such a word in such venue or any venue to a sitting president. Now the question is, Did President Obama tell the truth or he is being mislead about democracy in Ethiopia. All the evidence about Ethiopia from the State Department Report on Human Rights, Amnesty International, Human Rights Watch and the U.N all indicate egregious human rights abuses, but President Obama on July 27, during a joint press conference with PM. Hailemariam Deslalegn told the press that Ethiopia is a democracy and the Ethiopian regime was “democratically elected”. The regime won 100% of votes according its government appointed election commission. The only opposition representative was barred from running. What is going with President Obama. I wonder what happens with African-Americans when they go to Africa, they fall in love with dictators and they completely ignore the reality or the masses who are toiling and completely oppressed and suppressed. Ethiopia has more journalist and religious leaders in jail than any African country. In his book Out of America: A Black Man Confronts Africa, journalist Keith Richburg criticizes some African-Americans for being too willing to work with African dictators who increase the suffering of their own people. Obama is no exception to this curse. In 2005 at the behest of the United States, Ethiopia invaded Somalia and succeeded in ousting a government that brought stability and for the first time after the fall of dictator Siad Barre. All Somalia and tribal chiefs were under its control. The consequence of that invasion was the rise of Al Shabab. Now, Obama sowing the seeds of rebellion by taking all hopes of any democratic change in Ethiopia. He has closed all the doors for peaceful change or any U.S. pressure for democratic opening in Ethiopia by endorsing the current system. The Ethiopian regime spends huge sums of money lobbying U.S. officials with the help of DLP Piper, a global lobbying agency and that may be paying off, but at the expense of the 100 million lives in Ethiopia. What a legacy for a man who won the Nobel Peace Prize to endorse one of the most rotten and corrupt regime in the world. What a contradiction for a president who often talked about openness and democracy to reverse a course and wine and dine in country where there is no freedom of the press or freedom of religion or where the Internet and most of the means of production are controlled by a one party dictatorship. It is a sad day for Ethiopia, a sad day for Obama and a sad day for U.S.A because Obama represents U.S.A.